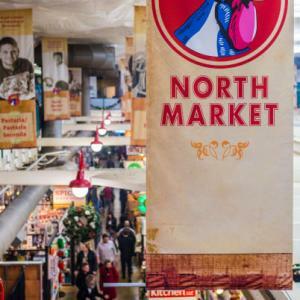 The North Market is a cherished Columbus landmark that continues to flourish and offer residents and visitors alike a unique Columbus experience. If you have not stopped by the North Market in recent months, you will notice a lot of change. 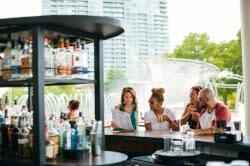 Not only in the location of vendors, but also with the additional of a new ventilation system, new vendors and expanded hours of operations. Hot Chicken Takeover, located on the second floor of the market, sells out of their signature hot fried chicken almost every day they are open. Be sure to check their Facebook for quantity updates before you head out - they&apos;re generally open Thursday - Sunday. Stauf’s Coffee Roasters, a Columbus staple for years, has recently taken over the long running A Touch of Earth space in the market. Market pop-up, Destination Donuts, will open their first permanent home in the market this month. Now you will be able to enjoy a rotating cast of doughnut delights like cookies & cream, maple sausage and raspberry hibiscus. Click here for a complete list of the merchants and farmers of the North Market. So you are saying to yourself, with 30-plus vendors how in the world will I visit it all? Never fear! The North Market has just announced expanded hours. The market is now open until 7 p.m. on Saturday, and Monday will no longer be an optional day for merchants. The new hours will be Sunday and Monday 10 a.m. – 5 p.m. and Tuesday-Saturday 9 a.m. – 7 p.m. To help everyone adjust to the new hours, the market will offer an hour of free parking throughout April with validation from a market merchant. If all of that does not convince you to drop what you are doing and go to the North Market, perhaps Country Living Magazine naming the market one of the “8 Must-Visit Historic Food Markets Across America” will make up our mind.